Currently, only "Day Rate" registrations are available . Online registration for "Doubles" and "Singles" are now closed. The registration system has been left online for the reference of those who have already registered. 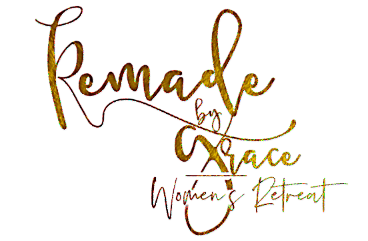 No new registrations for Remade by Grace 2019 are being accepted through the online system at this time. If you would like more information or if you would like to be added to the waiting list, please contact the Remade by Grace planning team at women@fbcglenarden.org or at 301-773-3600. Join the women of First Baptist Church of Glenarden as we create a stronger Connection with Christ, provide opportunities for Conversation on real-life issues and establish Community through accountability and partnership. Stay connected to the Grace Girl community! To ensure you receive updates on upcoming Grace Girl events, initiatives and ministry opportunities, click here. All rates are per person. Rooms are assigned on a first-come, first-served basis. Room accommodations and roommate selections are not guaranteed until full payment has been received on or before the final payment due date of April 19, 2019. Day Rate Only includes all sessions, onsite meals and retreat materials. *Buses will depart from and return to First Baptist Church in Upper Marlboro, Md. Rates are non-refundable; however, fees are transferable for another woman to attend the 2019 Women’s Retreat.